How much I have learned over the last three years is amazing. 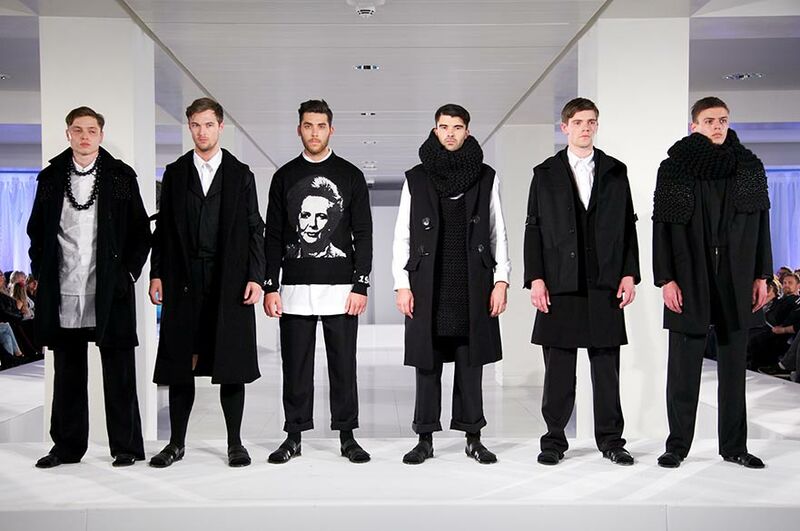 Aimee was the winner of the Menswear Award at Graduate Fashion Week 2014. Here she tells us about why she chose to study at NTU, and what she enjoyed most about the course. "I came for a visit and fell in love with the city, also the fact that the Fashion Design course had a great reputation. "I loved it at the open day. It all sounded very exciting and after seeing the studios and facilities I was very impressed." "The breadth of learning; how much I have learned over the last three years is amazing, the great tutors and technicians and also the excitement of all the projects, particularly in final year. "My highlights were all of the amazing and talented people on the course, how we all bonded so much and supported each other throughout the year." "They have always been supportive and willing to help throughout the three years. The technicians are amazing, we couldn't get through it without all of their brilliant teaching and support." "Brilliant and spacious - the studios are a good size and there's enough room for everyone." "I would 100% recommend this course!"